LOVE LOVE LOVE the look. Easy install. Loud as F*ck. It's pretty insane sounding but i love the rough grumble. Slight loss of torque but definite gain on the top end. Neighbors must love you They look really cool but I don't think I could take that for very long. But I'm probably just getting old. I thought driving around with my old vette in college first with open headers and then with single chamber Flowmasters (just as loud just sounded better) was perfectly acceptable lol. Last edited by captainchaos; 05-22-2015 at 11:33 AM. You can always tell people, "Loud pipes save lives". HAHAAHA.....Ear plugs are a definite. No doubt about it. It has that crazy gurgle when you let off. When you get close to redline it really sounds nasty. Too loud for me and to my ear that glorious V sound is missing. I have heard a VTR with G.P extreme pipes and they were loud however the V sound was still there. The best V sound in the world for me is an old Duc with Conti pipes. Showing my age I know! Hope they came with ear plugs. Its a little louder than I expected but like I said nothing beats the sound of banging the gears on this setup. It really sounds good on the top end. It has a funny car sound to it. I guess the dual pipes are to let the loud out. Im going to try and borrow a gopro from a buddy and get some video of a ride and load it up. Yesterday this Harley guy came up and said "Dude that bike sounds so F'N mean what all you got done to it motor work wise?" I laughed a little and said you're looking at it HAHAHA. Hmmm, is it me or it time to toss that bologna skin away for new rear rubber before you kill yourself!
? Those are damn near new tires...Just dirt from the road. Video taken from inside a car at 70 with the windows up LOL! I'm fairly new to the V-twin game. I used to own a GSXR with a D&D pipe on it, nice and loud. I'm a big advocate for 'loud pipes save lives'. 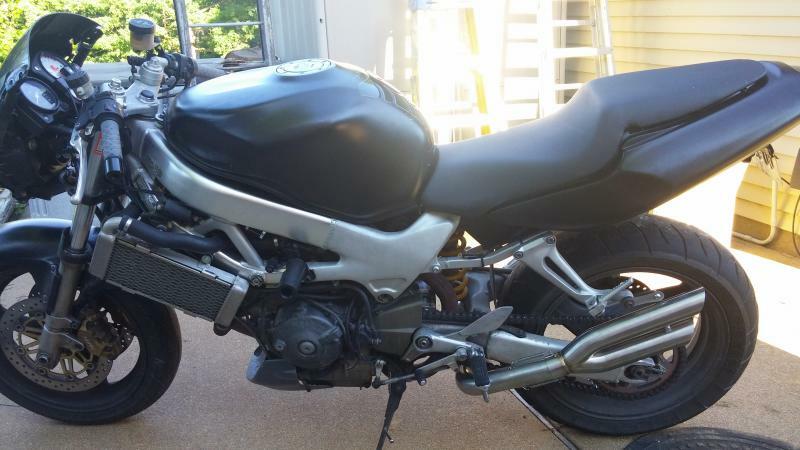 I just got a 2000 SH with the stock pipes on it. How hard was the install? Was it bolt on? require welding? And did you need a jet kit afterwards? Thanks ahead of time. Please don't put those on your bike. There are plenty of other loud pipes that aren't straight pipes that sound like crap. This is a perfect example of noise quantity over quality, and you'll be stooping to the levels of the douchebag Harley owners that also stick straight pipes on. Understandable. I don't have a huge budget at the moment. Is there a brand you would recommend over others? What is your budget? It looks like those are around $300, which will get you a decent quality slip-on set that's used. Last edited by Just_Nick; 02-06-2016 at 06:39 PM. My budget is around the 300 mark. Those slip on's seem good. 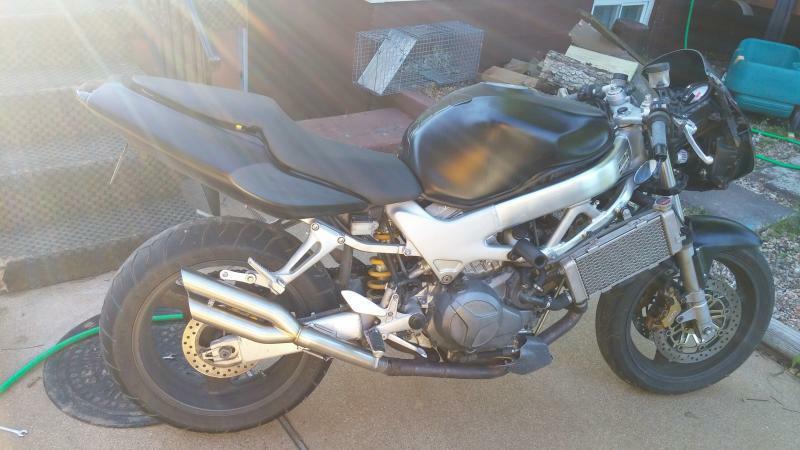 And how would you go about modifying the stock pipes? I've drilled holes in baffles before for a slight noise increase, would that work with my SH as well? Or is there another way? You should check with one of our prominent members Captainchaos, he may have a good slipons for you and he is not too far from you as well, send him PM or something. Awesome. Thank you guys for your help! I think that's a pretty subjective opinion. Its a VTWIN so any exhaust you put on the bike will create a similar tone to a Harley. 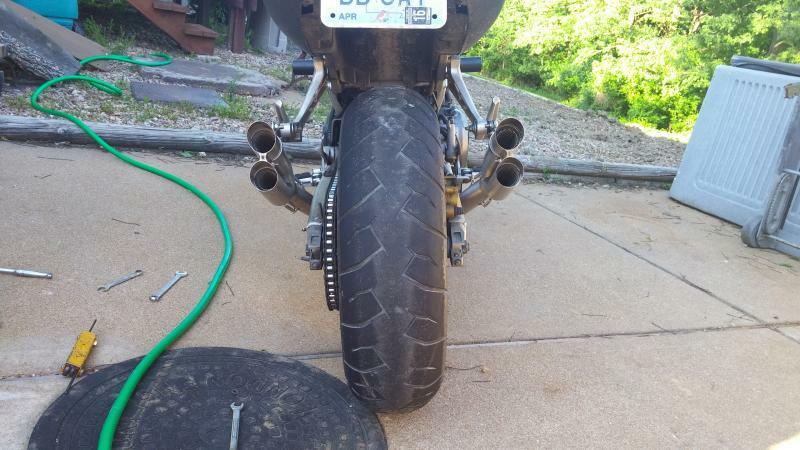 Quick Reply: DanMoto XG1 Exhaust INSTALLED!